The genetic goal of the beef herd should be to have a herd of cows that will thrive in their given environment without large amounts of supplemental feed. The cows need to raise a big calf EVERY year and breed back on schedule EVERY year. 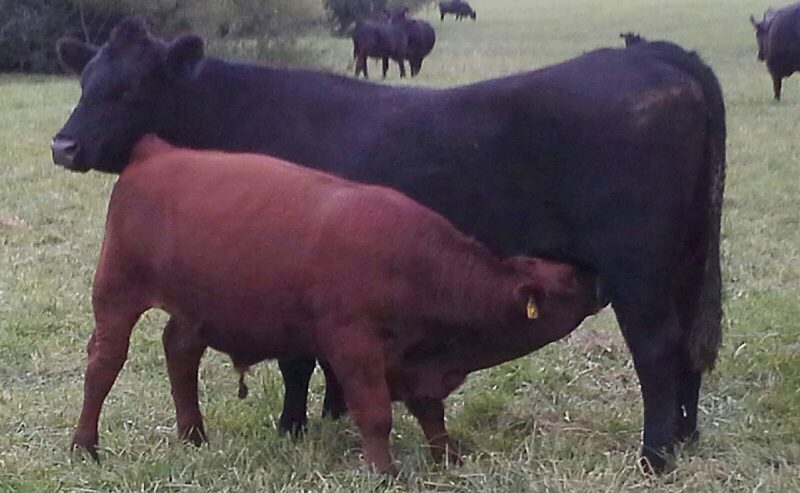 It is common for me to have cows that produce for 12-16 years of age. Buying bulls from these cows gives you daughters that will be productive for many, many years in your herd. We know that feed cost is the number one factor in profitability of the beef herd. So, if we’re in the Midwest, we want a cow that can go out and survive on crop residues such as corn stalks for 60-70 days during the winter. We want cows that are good foragers and can go out and take care of themselves on the forage that is available. We don’t want to have to haul feed to cows much of the year. That is a guaranteed formula for financial failure in the herd. One of my Grandfather’s famous quotes was “If you don’t waste a dollar, it’s all profit”. This fits beef cattle to a “T”. Unfortunately, I see many, many times where people are wasting dollars on excessive nutrition because the genetics are not correct for the farm. Our cattle work for you, not the other way around. Your cow herd should be made up of 100% crossbred cows. Heterosis is nearly free and cannot be overlooked. The initial research that showed that heterosis was beneficial was done in the 1930’s. Almost 80 years ago we knew crossbreeding was the right thing to do and today we are definitely straying from that knowledge. It is very disheartening to see that many producers are using the same breed of bull year after year. Examine the information below and you will see how important heterosis is to your herd. There is no other management tool that is more efficient than crossbreeding for improving total calf production in a cowherd. Research at Montana State University showed that on average a crossbred cow returned $70 per year more profit than a purebred cow, each and every year. So, in a 100 cow herd, that’s $7,000 extra per year net profit.